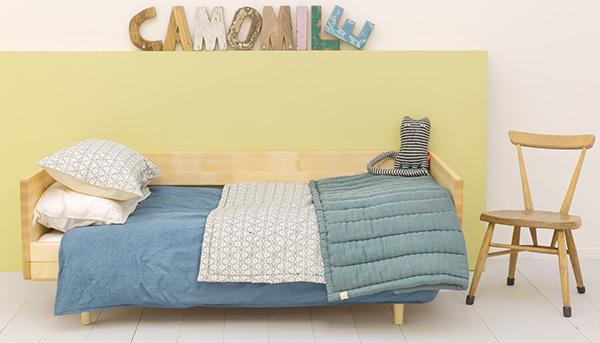 It’s blast off time as Camomile London get ready for their April launch, and we’re giving our readers a sneak peak of the effortless style and luscious linen that awaits! Linen that looks luxuriously soft in washes of vintage inspired colour and print, it’s easy to see that all that makes up the debut Camomile London collection can be mix and matched to your heart’s desire. 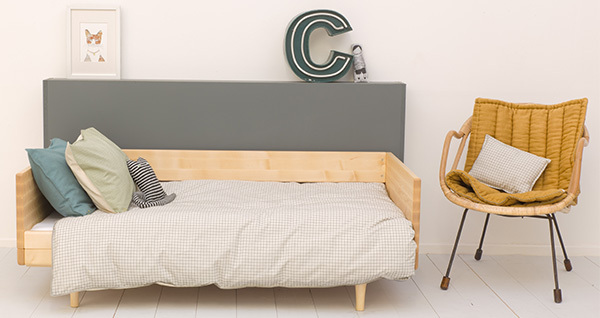 The icing on the linen cake is accessories such as the uber cute House Cushion – available in small (£36), tall (£45) and large (£54) or the ever practical (and delightfully coordinating) Sleeping Bags (£75). 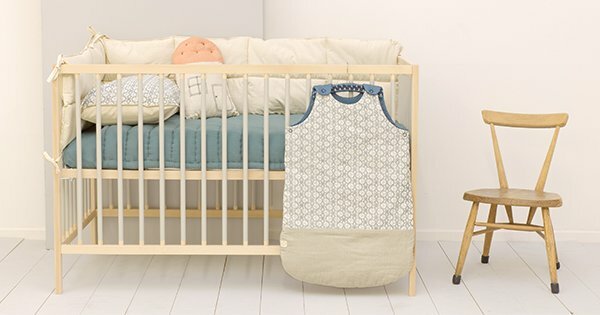 Designed to fit babies aged four to nine months, it has a toasty 4-Tog rating. But back to the linen. 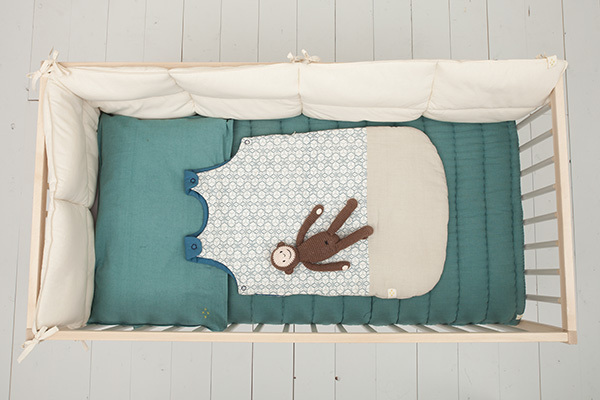 With a strong focus on cot linen, there’s quilted blankets, quilts, duvet covers and pillowcases aplenty. 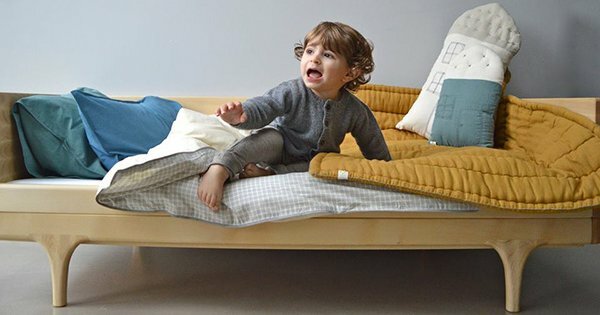 Being a UK brand, there are also cot bumpers, though here in Australia we comply with SIDS and Kids safe sleeping guidelines, and they’re generally not used. Polka dot, floral and star cotton quilts (cot size £78) are in the collection as well as thicker hand quilted blankets (cot size £81 and single size £149) in five solid colours or a check print with the choice of orange or grey stitching embellishment. If it’s a simple yet stunning duvet cover you’d like, Camomile London has a collection of those too in gorgeous prints from £66 with coordinating pillowcases from £18. Be sure to follow Camomile London on Facebook to be the among the first in the know of when these linen delights are available for purchase!